Valentine Tile Pack for MV| RPG Maker | Create Your Own Game! 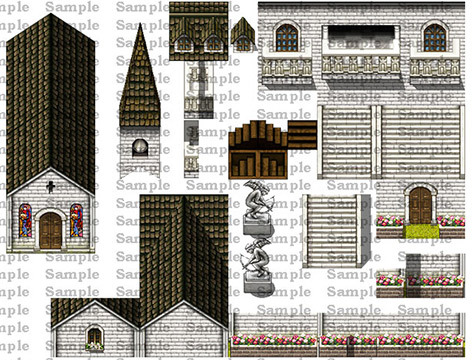 Tilesets in this pack are similar to Valentine's Tile Pack, but there are new themes like interior tiles for a happy wedding scene or cozy hotel room for a honeymoon as well as exterior tiles to create a chapel or a church and more! Whether your heroes are looking for a lovely date-spot, or need a spot for a romantic adventure, or, of course, in need of tieing the knot (! 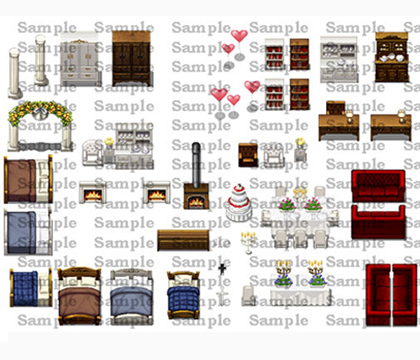 ), you'll want Valentine Tile Pack for MV at the top of your list!